My kids are trilingual. And in most places of the world - Asia, Europe - that wouldn't be weird. But in America, it apparently is. When my husband and I married, long before we had children, we decided that we would try to keep our very different cultures alive for our children through language. Even though we both had been born in the U.S., language would be the link for our children to the countries from which their grandparents emigrated - a way to connect to cousins and extended family, yes, but as importantly, to the very fabric of each unique culture. We had seen too many of our friends - also children of immigrants - lose their language and then bitterly regret that loss. We wanted to prevent that. It hasn't always been easy. Kids, as opposed to adults, learn languages through immersion - as if from the air around them. Or rather, from friends, TV, books, people talking on the street and in the grocery store. It's how scores of us children of immigrants learned English - and it works exactly the same way when trying to teach another language. The problem, of course, being, that people in the grocery store, and on TV, and in school are usually speaking English (here in the U.S.) - not Bengali or German, the languages we're seeking to teach. So, for the past almost 9 years now, our family has invested an incredible amount of time and effort into finding Bengali and German resources - DVDs, books, music CDs. The entire family spends most of Saturday going to German school and most of Sunday at Bengali school. At home, each parent speaks a different language with the kids - although we speak English to one another. It results in some funny looks in public places - as the kids turn to one of us and speak in one language, then the other of us to speak another. Sometimes, one simple sentence will have words from three different continents. 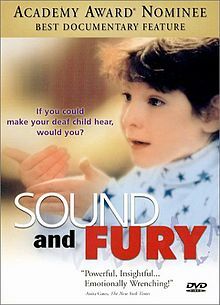 But I was reminded the other day of the profound import of language as I taught, in one of my graduate seminars, Josh Aronson's documentary film Sound and Fury, about the Deaf Community's struggles with cochlear implants. We discussed how what is often called the big "d" Deaf Community considers Deafness a linguistic minority culture just like any other - as opposed to simply a medical condition involving hearing loss, or even a disability; and how, given that framework, cochlear implantation might feel like linguistic genocide. It wasn't an easy or a simple discussion - many were invested in the notion that deafness was a medical condition and nothing more. But then we historically contextualized Deafness in this country - and discussed the perspectives of Alexander Graham Bell and other oralists who feared the formation of a 'deaf race', shut down deaf schools, and upheld alarmingly eugenicist beliefs. We made analogies to the 'lost generation' of Australian aboriginal children taken forcibly from their communities, forbidden to speak their own tongue, and put in English-only schools, as well as to the experience of Native American children in similar schools. We discussed the 'Bhasha Andolan' - the language-based war of then East Pakistan for its freedom from Pakistan - a war which eventually lead to the formation of the independent country of Bengali-speaking Bangladesh in 1971. Language is no less then a link to identity. People have fought for it, been persecuted for it, and died for it. I have the luxury of teaching my children their languages in an environment infinitely less fraught, less dangerous, less threatened. But I remember these struggles - some historic, some ongoing - to remind myself of the import of what I do. It's sometimes exhausting, mentally and physically - as I run from weekend language school to school, putting in hours, and miles on my minivan. But it's a gift I have the ability to pass on, and so I keep going. Please add your own resources below to share the wealth! And you still have time to post wonderful blog posts, too! Thank you! Hah! Thanks Brynne! I actually have been feeling so overwhelmed lately - blogging about this helped remind ME why I spend all this energy doing it - among all the other things parents have to do every day! My one son is multilingual. He started teaching himself Japanese and I encouraged him as best I could, being monolingual myself. He is now teaching himself French and took a few years of German so he's using his innate talents well. I wish we encouraged the learning of other languages in our public schools. I deeply feel our children are being cheated. In the meantime, I'm going to share these links with my son. He needs a little nagg . . . erm, encouragement. 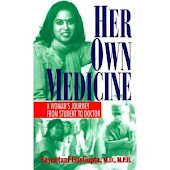 @nilanjana - thx for the great resource - will look up Tulika. 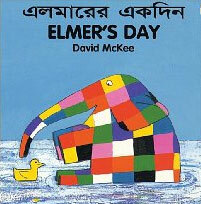 great hindi/bengali/some tamil bilingual books even at amazon.com but also at mantra and milet (above). @MuMu - hang in there!!! for us, it's been almost FIGHTING the onslaught of English (no offense to english, whatever majority language country you live in) with friends, babysitters, etc. who speak your language and also limiting English media and only doing your language TV/music/media - media is surprisingly ubiquitous and powerful! Thanks all for the visit and comments!